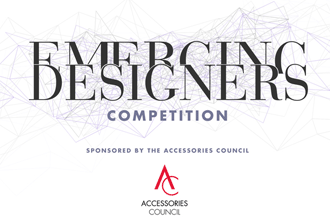 Lividini & Co, a New York-based brand engagement company and The Accessories Council want to cultivate the future of fashion and that's why they've partnered to launch the Emerging Designers Competition. Karen Giberson, President of the The Accessories Council said "Today's business climate makes it so challenging for young designers to get their businesses off the ground, and the mission of the Accessories Council is centered around supporting designers, so we are thrilled to announce this program and our partnership with Lividini & Co. The Emerging Designers Competition will provide exclusive access to invaluable industry resources, while showcasing new faces within the industry." A panel of judges, including Lividini & Co. executives, the Accessories Council Board and its’ members, will select up to five finalists. One winner will be announced on Monday, November 3rd at the Ace Awards and receive a full year of mentoring and full-service strategy and communications support from L&Co., the Accessories Council and other industry partners that are committed to fostering young talent. Apply to the open call at the Emerging Designers Competition by October 8, 2014. Learn more about Lividini & Co and The Accessories Council.